Source: Glover, Jr., Samuel Stillman; Pension File No. 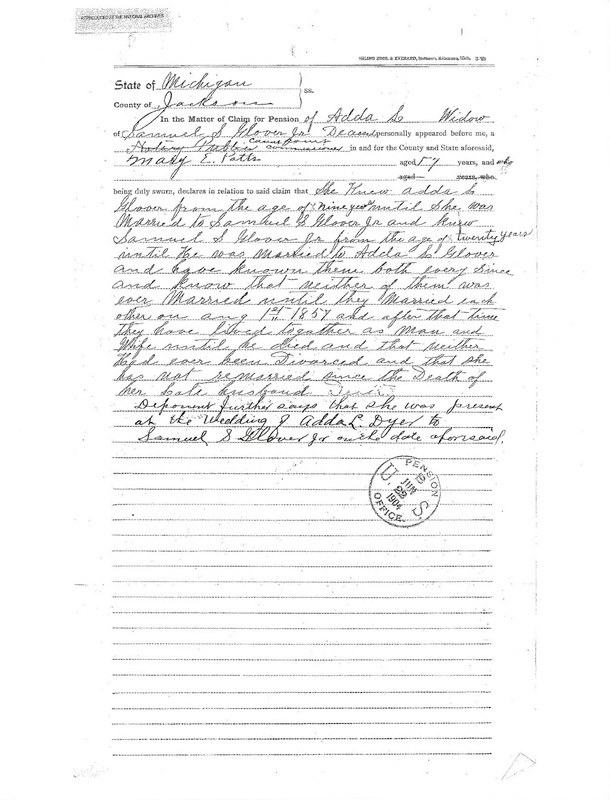 28715, Civil War Pension File, (Washington, D.C.: U.S. National Archives and Records Administration), p15 . Samuel S Glover Jr on the date aforesaid. 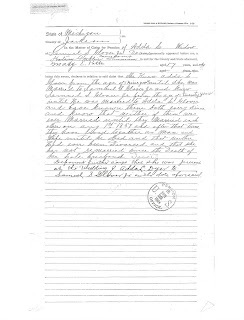 The above affidavit was found on page 15 of my 2x great grandfather, Samuel Stillman Glover, Jr. civil was pension file. The person providing the information, Mary E. Potts, is the sister to Adda L. Glover. Their maiden name was Dyer. Mary was nine years younger than her sister. Samuel's pension file provided other documentation about their marriage. This wasn't the first I knew their marriage date, but it provides additional documentation for it. It tells that Mary knew Samuel from when he was twenty. 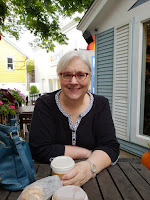 Samuel was twenty-one when he and Adda married. In addition, I learned that Mary was at their wedding. Samuel's pension file has been a wealth of information. In addition to his service records, it has provided me with personal family information. Information I have not been able to find elsewhere, yet.